FLIR Systems has published a comparison of the benefits of using a thermal imaging camera versus an Infrared thermometer for non-contact measurement of temperature across a range of industrial and scientific R&D applications. Infrared (IR) thermometers are reliable and very useful for single-spot temperature readings, but, for scanning large areas or systems, it’s easy to miss critical components that may be near failure and need repair or replacement. A FLIR thermal imaging camera can scan entire systems, components, or panels in one go - never missing any overheating hazards, no matter how small. With an image resolution equivalent to using hundreds of thousands of IR thermometers at the same time – thermal imaging cameras help you find thermal problems faster, easier and with extremely high accuracy. 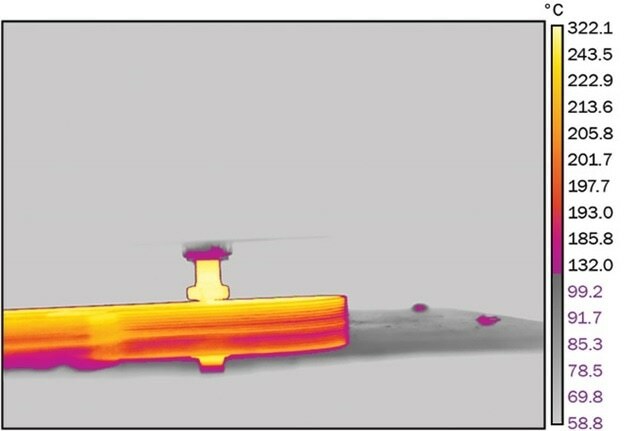 Thermal distribution and variations in real time by FLIR thermal imaging technology. 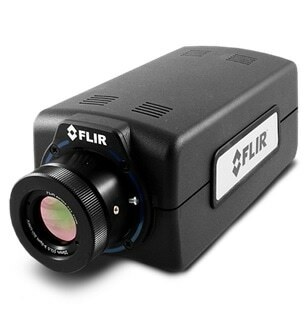 In Research and Development applications - FLIR infrared cameras are used for capturing and recording thermal distribution and variations in real time. This allows engineers and researchers to see and accurately measure heat patterns, dissipation, leakage, and other temperature factors in equipment, products and processes. These cameras can distinguish temperature changes as subtle as 0.02C. They feature state-of-the-art detector technology and advanced algorithms for precise, high performance measurements from 180C to 3000C. 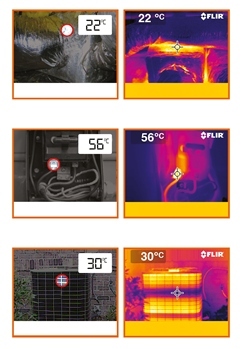 Today FLIR R&D thermal cameras combine extremely high imaging performance, affordability and precise temperature measurements, with powerful tools and software for analysing and reporting. To find out more about FLIR’s new entry level A5sc / A15sc / A35sc research grade thermal imaging cameras and how they offer a real alternative to IR thermometers please contact FLIR Systems on [email protected] or telephone +33-1-6037-0100. Pioneers in all aspects of infrared technology, FLIR designs, manufactures, and supports thermal imaging systems and subsystems for industrial, scientific, governmental, commercial, and firefighting applications. With a 40-year history of infrared innovation, over 100,000 systems in use worldwide, and development centres and sales offices in over 60 countries, FLIR is the world leader in thermal imaging technology.